When it comes to washing linens for your business, there are specific guidelines that must be adhered to in order to maintain their quality. In order to understand why, it is important to learn how linen is made and where it comes from. Cool to Lukewarm Water – Using hot water will break down the fibers of your linens, which decreases their lifespan. In order to get the most time out of your linens, use cool to lukewarm water. Mild Detergent – Not only do harsh chemicals also break down the fabric, but your linens will begin to fade with their use. Use mild detergent in order to maintain the color and life expectancy of your linens. Don’t Overcrowd – Your linens need plenty of water throughout the washing process in order to be properly cleaned. If using a washing machine, fill up the machine halfway with water before immersing your linens, and leave some room so that they can move freely. For businesses that are constantly having to wash their linens in order to keep up with the flow of customers—such as napkins and aprons for restaurants, bedsheets and towels for hotels, and so on—it can be difficult to decide whether to perform these services in-house or to outsource them to a specialized company. Pro HVAC Service partners with a network of facility cleaning services across the country that can take care of the laundering and inventory of your company linens. 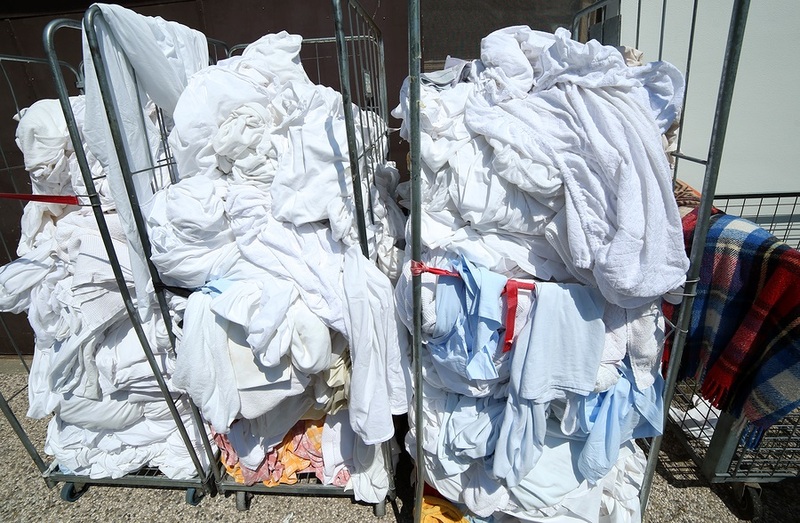 Get Connected with Professional Laundry Services Today! Here at Pro HVAC Service, we understand that there is a lot involved with running a company. We can help you maintain your professional image while allowing you to concentrate on the business side. For free, no-obligation estimates on laundry services for your business, simply fill out the form to the right or give us a call at (866) 467-4178. Within minutes, you will receive estimates from multiple contractors to ensure you are receiving the most affordable pricing available.